Onekama opened its district semifinal against Brethren with a pair of runs in the first inning and closed it with two more in the final inning. However, the Portagers didn’t do any scoring in between while the Bobcats built a lead before holding on for the 6-4 win. 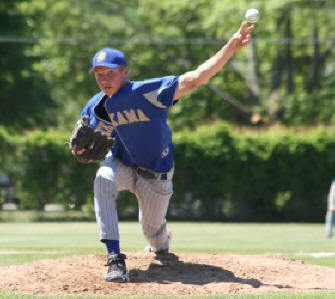 Dylan Richardson got the win after allowing four runs (two earned) and striking out 16 over 6 2/3. Lakso picked up the save. Stephen Verrett took the loss for the Portagers (10-18-2), but finished with a single, double and two RBIs while Jon Eno went 3-for-3. Brethren led 6-2 heading into the seventh inning before Verrett drove in a pair of runs. Dylan Richardson was lifted with one out and Lakso struck out the final two batters to end the game. Dillon VanderBie had two doubles to lead the Bobcats, Dylan Richardson had two hits and an RBI, Nathan Costello had two hits and Lodin, Nelson and Lucas Richardson each had a hit and drove in a run.